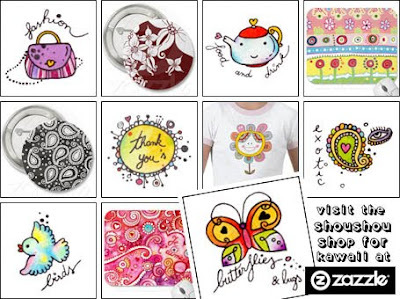 What you are looking at are just some of the incredibly sweet designs available at the utterly adorable ShouShou Shop - a shop packed with beautiful t-shirts, binders, iPhone cases, cards, bags, and many, many, many more gorgeous goodies besides! So this year, don’t wait around for your valentine to pick you up some second rate novelty teddy bear as a romantic gift, head on over the ShouShou Shop and truly treat yourself in the manner you deserve! Enjoy!